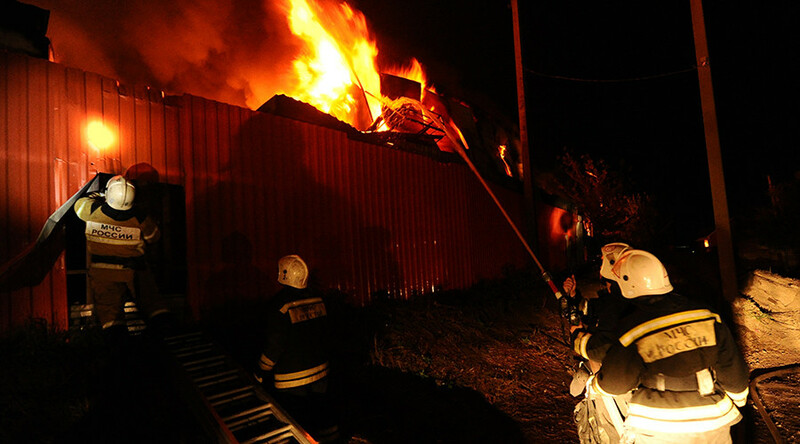 A major fire has engulfed a large clothes market in the southern Russian city of Rostov-on-Don. Some 3,000 square meters (32,000 square feet) of stalls are ablaze, and some 75 firefighters and 24 vehicles have been dispatched to the scene. The blaze at the Temernik clothes market started at around 9pm local time Sunday. The fire spread rapidly through the commercial halls, engulfing some 3,000 square meters (32,000 square ft), a representative of the local emergency services told TASS. Some 75 firefighters and 24 fire engines were dispatched to the scene, according to the emergency services. The traders flocked to the market in attempt to save their goods from the fire, according to eyewitness reports on social media. There was no information on possible casualties immediately available.